The National Student Accommodation Strategy complements the initiatives being taken by the Minister for Housing to increase housing supply under Rebuilding Ireland. 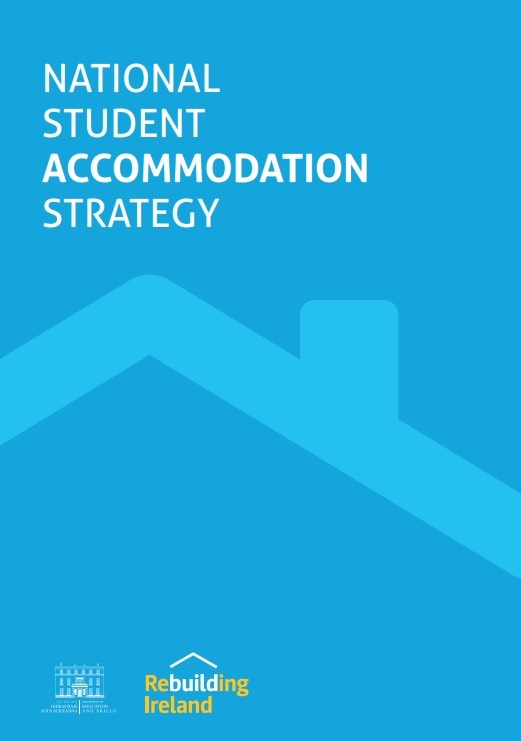 The National Student Accommodation Strategy (NSAS) includes 8 key targets and 27 actions to support the delivery of an increased level of supply of Purpose Built Student Accommodation (PBSA) and an increase in take-up of digs accommodation. The target as set out in the NSAS is the provision of 7,000 bed spaces by end 2019 and a total of 21,000 additional PBSA beds by 2024. We remain on track to meet, if not exceed, this number. These projects combine to a total of 18,610 PBSA bed spaces. 5,423 of these will be complete, or are due for completion, by the end of 2018. Minister of State for Higher Education, Mary Mitchell O’Connor T.D. said “Students and parents have been heavily impacted by housing and accommodation shortages, particularly so in the context of the high demand for accommodation around our Colleges, Institutes of Technology and Universities – in light of this it is heartening to see that there is a healthy pipeline of student accommodation projects in train. Access to accommodation is a crucial factor in access to, and continued participation in, higher education. Minister of State Damien EnglishT.D. said “These latest figures are further evidence that increased supply of purpose built student accommodation continues to be delivered for this important segment of the housing market. 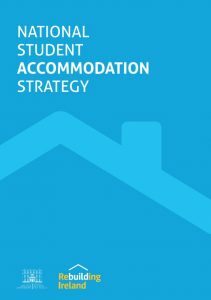 The National Student Accommodation Strategy (NSAS) is a key action in the Government’s Rebuilding Ireland: Action Plan for Housing and Homelessness. Launched in July 2017, it was developed by the Department of Education and Skills together with the Department of Housing, Planning and Local Government, as well as key stakeholders to introduce measures to support the delivery of an increased level of supply of Purpose Built Student Accommodation (PBSA). Currently, all indicators point to a significant increase in full-time students attending publicly funded Higher Education Institutes (HEIs) for the next decade. In terms of increased demand, the Department of Education and Skills (DES) has previously indicated the potential for the number of full-time enrolments in DES-aided HEIs to increase by 27% by 2030. The NSAS is designed to support the delivery of an increased level of supply of PBSA by reducing planning barriers for public and private sector developers of student accommodation and seeking to address financing barriers for our HEIs. The NSAS also complements the various initiatives being taken by the Minister for Housing, Planning and Local Government to increase housing supply. Another key action of this strategy is to encourage the uptake of traditional student accommodation in private homes – Digs accommodation – which will help alleviate the shortage of student beds and to provide choice to students in the short-term. Funding has been provided by the Department of Education and Skills and the Department of Housing Planning and local Government to USI to finance a Student Housing Officer, to support the #homesforstudy campaign and provide training for Student Accommodation Officers.